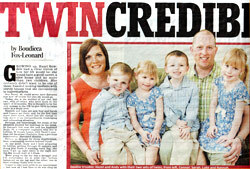 When we discovered TTTP client Hazel Bowden is the only known women in the UK to have had twins – twice – in under a year, we knew newspapers would be fighting over her story. The Daily Mail offered her the best deal for her story. 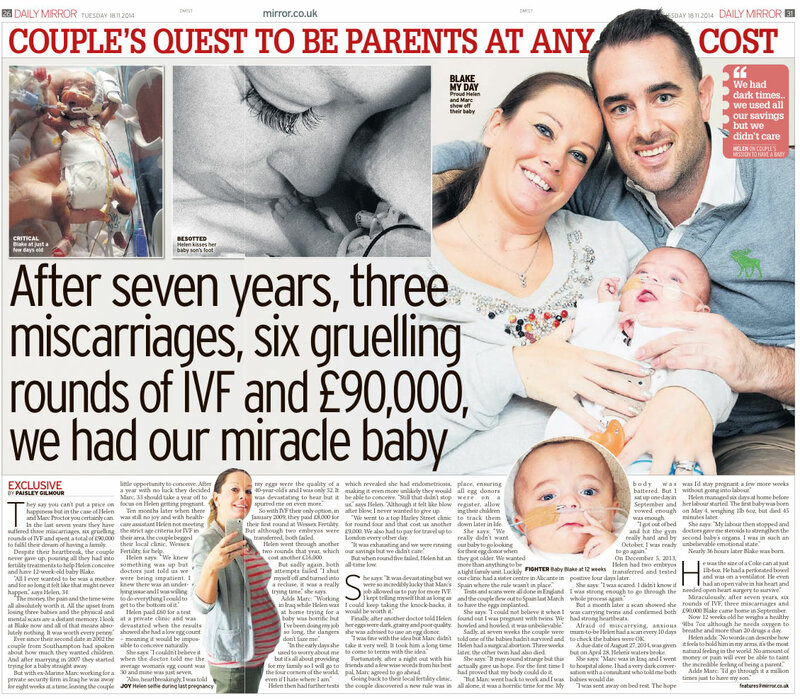 In the article, Hazel described how the stress of dealing with two pregnancies and four babies in such a short space of time pushed her marriage to the brink, but thanks to counselling, she and her husband Andy now have things back on track. The couple were really pleased with their story, and the supportive comments they got from Daily Mail readers. The couple and their lovely children then appeared in a women’s magazine.